Amazon Virus a malicious worm-like application that is reported to replicate automatically and infect a vast number of systems via email. Once on the user computer, the application may have a set of tools that it might use in a devious manner to hide itself, update itself and steal or modify user information. Some users even report it to likely download and install other malware on affected machines. Download a System Scanner, to See If Your System Has Been Affected By Amazon Virus. Amazon Virus – How Does It Work? 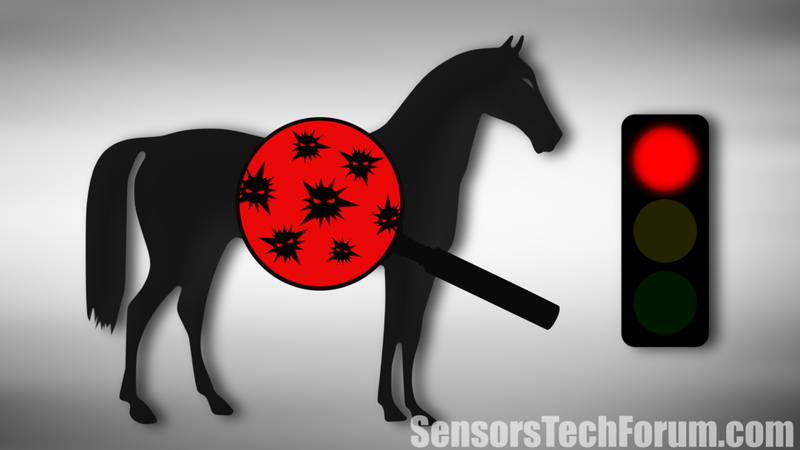 As previously mentioned, this believed-to-be Trojan horse may enter the computer via emails. Some reports claim to see emails with content, such as ‘Recover your password’ or ‘Set up recovery options’. But a technique, called email spoofing is also an option for the cyber-criminals, especially if an attack is targeted. Spoofing changes the real email address of the attacker, masking it with an address familiar to the user (such as [email protected] for your boss`s email, for example). This technique makes the sender trustworthy. When it has been activated on the computer, this application may begin to create files of different formats on the machine (.exe,.ini,.dll) concealed deep in Windows directories. It may even modify some keys and values in the Windows Registry. This is done with the purpose of concealing its files by automatically accepting some permission requests for updates or changes in some security settings. Such updates might change the encryption of its files, for example, hiding it from antivirus programs for extended periods of time. -Transferring financial information to foreign locations. -Obtaining personal information about the user. -Tracking and recording user browsing activity and typed keys. -Making the user PC part of a ‘zombie’ network that serves in its attackers’ interests. -Deleting or corrupting user files. Usually viruses, such as the Amazon Virus are automated and pre-programmed in regards to what exactly they may do to the PC when they conduct massive attacks over the web. However, there are also targeted attacks that are directed to local area networks (LAN`s) in an organization or individual PCs that may be programmed to do custom actions in the systems they infect. In case you have suspicions that your computer might be infected with the Amazon Virus, be sure to act quickly. Our recommendations are to firstly follow the step-by-step removal guide below. Then we advise you to immediately download an anti-malware program, preferably on an uninfected computer, install it in Safe Mode on yours and scan it for malicious programs. It will undoubtedly detect and eradicate any traces worms, trojans, PUPs, adware, hijackers and other threats. 1. Start Your PC in Safe Mode to Remove Amazon Virus. 2. Remove Amazon Virus automatically with Spy Hunter Malware - Removal Tool. 2. Remove Amazon Virus automatically with Spy Hunter Malware – Removal Tool. Threats such as Amazon Virus may be persistent. They tend to re-appear if not fully deleted. A malware removal tool like Combo Cleaner will help you to remove malicious programs, saving you the time and the struggle of tracking down numerous malicious files. Threats such as Amazon Virus may be persistent on your system. They tend to re-appear if not fully deleted. A malware removal tool like SpyHunter will help you to remove malicious programs, saving you the time and the struggle of tracking down numerous malicious files. Note! Your computer system may be affected by Amazon Virus and other threats. SpyHunter is a powerful malware removal tool designed to help users with in-depth system security analysis, detection and removal of threats such as Amazon Virus. 1. Install SpyHunter to scan for Amazon Virus and remove them. 2. Scan with SpyHunter, Detect and Remove Amazon Virus. Ransomware infections and Amazon Virus aim to encrypt your files using an encryption algorithm which may be very difficult to decrypt. This is why we have suggested several alternative methods that may help you go around direct decryption and try to restore your files. Bear in mind that these methods may not be 100% effective but may also help you a little or a lot in different situations. Note! Your computer system may be affected by Amazon Virus or other threats. Remove Amazon Virus by cleaning your Browser and Registry. Fix registry entries created by Amazon Virus on your PC. Combo Cleaner is a powerful malware removal tool designed to help users with in-depth system security analysis, detection and removal of threats such as Amazon Virus. Step 5: In the Applications menu, look for any suspicious app or an app with a name, similar or identical to Amazon Virus. If you find it, right-click on the app and select “Move to Trash”. Step 6: Select Accounts, after which click on the Login Items preference. Your Mac will then show you a list of items that start automatically when you log in. Look for any suspicious apps identical or similar to Amazon Virus. Check the app you want to stop from running automatically and then select on the Minus (“–“) icon to hide it. Remove Amazon Virus – related extensions from your Mac’s browsers. A pop-up window will appear asking for confirmation to uninstall the extension. Select ‘Uninstall’ again, and the Amazon Virus will be removed. When you are facing problems on your Mac as a result of unwanted scripts and programs such as Amazon Virus, the recommended way of eliminating the threat is by using an anti-malware program. Combo Cleaner offers advanced security features along with other modules that will improve your Mac’s security and protect it in the future. Hey !, I found this information for you: "Amazon Virus Description and Removal". Here is the website link: https://sensorstechforum.com/amazon-virus-description-and-removal/. Thank you.